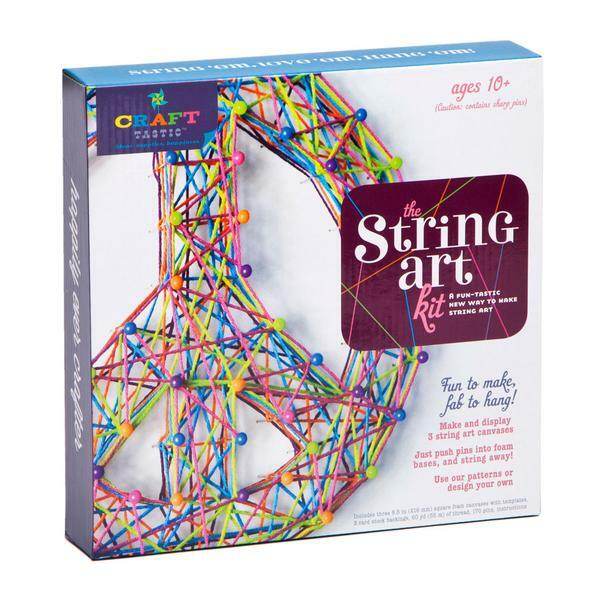 A fun-tastic, award-winning way to make string art! Just push the pins right into the patterns on the foam canvases, no hammer or nails needed. Use the three different designs printed right on the canvases, or create your own designs on the other side. Includes 3 sturdy foam canvases (each 8 ½” square and ½” thick) plus plenty of multi-colored pins and threads to complete the project. Once you’ve achieved string art awesomeness, just hang it up or lean it in your room to display. Caution: contains sharp pins. Make 3 different 8.5-inch square string art canvases. Just push pins into the foam canvases, use our designs (heart, peace and hi) or create your own! No hammer or nails needed. 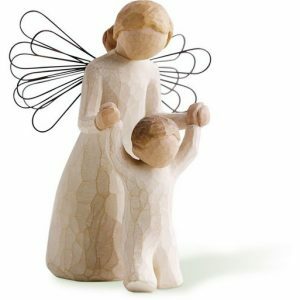 Hang them up or lean them in your room to display!